Game is nearly always on the menu especially in season. The Springer Spaniel, which dates back to the 18th century, is set in the beautiful countryside in the pretty hamlet of Treburley. 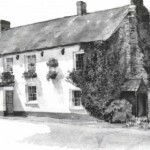 The pub is renowned for its fine food and ales, with The Springer Spaniel serving an extensive menu of fresh, local, seasonal produce sourced from local farmers and has received numerous awards such as the Taste of the West Silver Award. 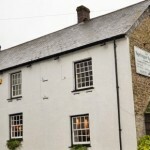 The property has been acquired by Masterchef winner and Director of Treby Taverns Ltd, Anton Piotrowski, whose plan is to develop the fantastic existing reputation that The Springer Spaniel has and to continue trading it for many years to come. 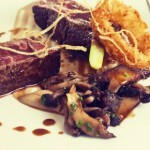 We are open between Tuesday and Sunday and have a lunch and a dinner sitting each day. Between Tuesday and Saturday we allocate tables for lunch at 12 pm, 12.30 pm, 1 pm, 1.30 pm and 2 pm. Tables for dinner are available at either 6 pm, 6.30 pm, 7 pm, 7.30 pm, 8 pm, 8.30 pm and 9 pm. We also offer bar snacks on Fridays and Saturdays between 2.30pm and 6pm. On Sundays, we serve food all day with tables available between 12pm and 7.30pm.